I love ‘Grandpa’s Song’ by Vika and Linda Bull, an Australian vocal duo with a Tongan family background (their mother is Tongan.) This youtube link is not great quality but gives you an idea of the music video of the song. 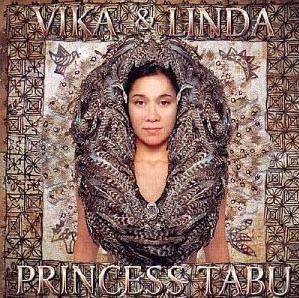 Vika and Linda were originally in the band, The Black Sorrows and went on to establish successful solo careers. They credit their time in The Black Sorrows with giving them the confidence and skills to to do that as they learnt a lot from Joe Camillleri. Their last album Liberation Blue was released in 2006, this song is from an earlier album Princess Tabu (1996), which was re-released in 2006. I love this album and the way it infuses their culture, Tongan Australian background into the songs and all their various music influences. This song was written for their grandfather, it is sung by Linda although it is Vika’s story. . . . It tells of Vika aged five being picked up after school by her visiting grandfather, he had just arrived from Tonga. She marched off and he followed, giggling to himself. To this day she says she regrets what she did. She shunned him for being Tongan and for what he was wearing. Today she says that she is “proud of her Tongan heritage and of her Australian heritage, and thanks her parents for teaching her this. You can read more about Vika and Linda HERE and of course on Wikipedia and the various interesting archived links provided at wikipedia which reveal a treasury of rock history online archives talking about these two artists. If you want to purchase the CD Amazon has this ALBUM as well as ebay and a few other places. It is considered a rare record. Some of the songs from it are available to listen to on youtube, including Princess Tabu.